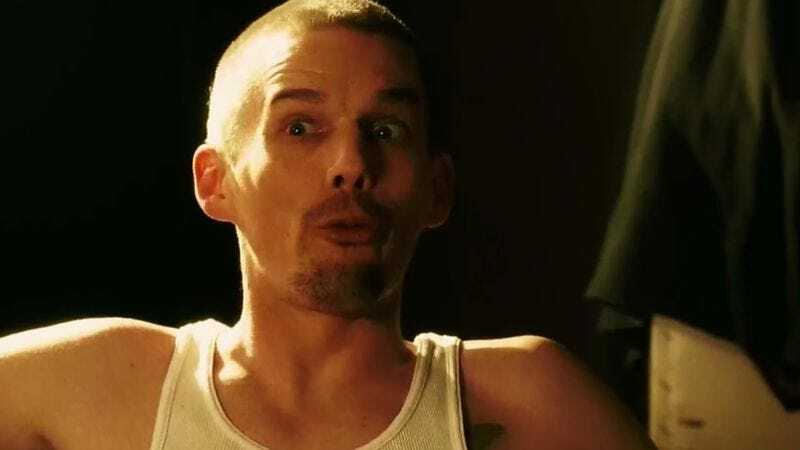 Ethan Hawke seems to be making 2014 his workaholic year. Having released Boyhood, Predestination, Cymbeline, and Good Kill this year—as well as having already wrapped Ten Thousand Saints, Regression, and In The Valley Of Violence—the actor has been cast in the lead role of Born To Be Blue. The biopic about famous jazz trumpeter Chet Baker—which recently began principal photography in Canada—will be written and directed by Robert Budreau, who has already scripted and helmed a short film about Baker titled “The Deaths Of Chet Baker.” The feature-length project will reportedly focus on Baker’s late-career comeback following years of decline due to injury and drug addiction. Carmen Ejogo (Zero Hour, Sparkle) and Callum Keith Rennie (Fifty Shades Of Grey, Californication) have also been cast to co-star. Though this is the first time the musician has gotten the full biopic treatment, it isn’t the first film to examine Chet Baker’s life, music, and legacy. Bruce Weber’s excellent documentary, Let’s Get Lost, released just three months after Baker’s 1988 death, also looks at the jazz trumpeter’s late-career resurgence. Given this announcement, it appears 2015 may be a big year for biopics about legendary trumpet players who had dicey relationships with women and drugs: Don Cheadle’s long-rumored Miles Davis film will also arrive next year.